Calcium ions play a critical role in signaling in a wide variety of cells and tissues, including muscle, immune cells, neurons, the liver, and oocytes. They can enter the cytoplasm from the extracellular environment or from intracellular stores and control the activity of numerous enzymes, other signaling molecules, transcription factors, and cytoskeletal components. Written and edited by experts in the field, this collection from Cold Spring Harbor Perspectives in Biology explores the channels and pumps that transport calcium between different compartments and the regulation of calcium fluxes. The contributors discuss calcium buffers and sensors and how these produce distinct spatiotemporal calcium signals in different circumstances. 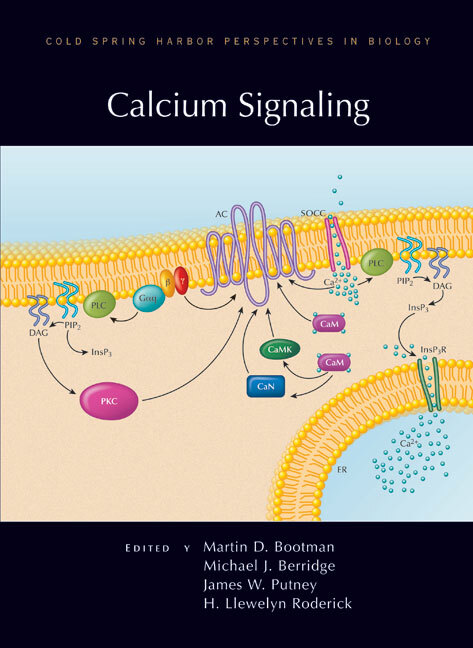 Including discussions of calcium signaling during development and normal physiology, as well as perturbed signaling in diseases such as diabetes, neurodegeneration, and atherosclerosis, the volume is an indispensable reference for biochemists, cell and developmental biologists, and physiologists seeking a comprehensive treatment of calcium biology.